Top Ten Engineering Schools in the U.S.
Engineering is one of the highest paid degrees you can get — and it’s a popular choice for students who are interested in building and developing products, as well as for those who have a knack for math and science. The list below breaks down the top 10 places to get an engineering degree in the U.S. The list comes from College Factual and is a ranking of colleges based on their overall quality. Note: this is not a ranking for a specific engineering major, but an overview of how the school does overall for all the engineering degrees it offers. See this description of the methodology for more information. 1. COLORADO SCHOOL OF MINES: GOLDEN, COLO. The Colorado School of Mines is a public research university with very high admissions standards. One of the focuses of the school is the responsible use of Earth’s resources. Engineering is the most popular field of study at this school, with majors in General Engineering and Petroleum Engineering being the most sought-after. Mines offers degrees up to the Ph.D. level, and is ranked as one of College Factual’s best value schools due to its reasonable tuition and high student outcomes. Engineering graduates start out with high average salaries of $68,000! 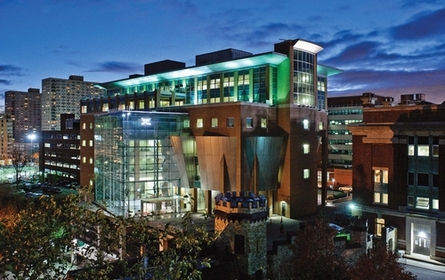 Georgia Tech is another public research university with high academic standards. The university offers degrees up to the Ph.D. level, and is also ranked as a best value school due to its reasonable tuition and high outcomes. This highly diverse university has a low student loan default rate, and its engineering grads report average starting salaries of $61,000. 3. MISSOURI UNIVERSITY OF SCIENCE AND TECHNOLOGY: ROLLA, MO. Missouri S & T is a four-year public university offering degrees up to the Ph.D. level. The two most popular majors at this school are Mechanical Engineering and Civil Engineering. While not as selective as the first two schools on this list, Missouri S&T still produces high student outcomes, making it rank high on the best value list. The average starting salary for engineering grads at this school is $60,000. 4. 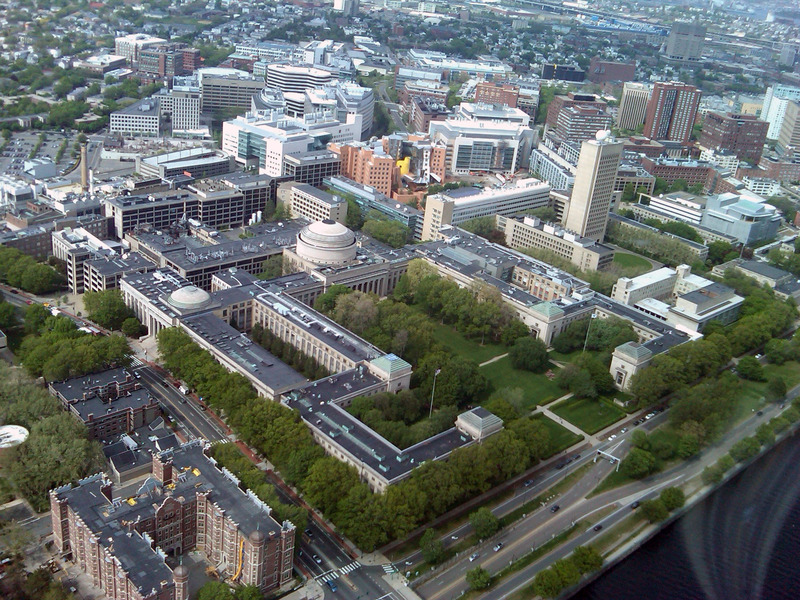 MASSACHUSETTS INSTITUTE OF TECHNOLOGY: CAMBRIDGE, MASS. MIT is a large, private research university well known for its selectivity and high student outcomes. The school is highly diverse, and offers degrees up to the Ph.D. level. Engineering is the most popular field of study, with Mechanical Engineering being the most popular major. Students who graduate with an engineering degree from MIT report high average starting salaries of $71,000! 5. RENSSELAER POLYTECHNIC INSTITUTE: TROY, N.Y.
RPI is a mid-sized private research college that specializes in science and engineering degrees. The school offers a fair value, with students reporting higher than average starting salaries and low student loan default rates. The university offers degrees up to the Ph.D. level. The most popular undergraduate majors include Mechanical Engineering, Biomedical Engineering and Civil Engineering. Grads report average starting salaries of $60,000. 6. WORCESTER POLYTECHNIC INSTITUTE: WORCESTER, MASS. WPI is a highly selective private school offering degrees up to the Ph.D. level. The most popular majors at the school are Mechanical Engineering and Electrical Engineering. Though the school has a relatively high net price, the high student outcomes make it a fair value. Students with engineering degrees average $62,000 as their starting salary. 7. STEVENS INSTITUTE OF TECHNOLOGY: HOBOKEN, N.J.
Stevens is a highly selective private research university located in Hoboken, NJ, close to New York City. The school has high academic standards, but also has a high price tag to match. It offers degrees up to the Ph.D. level, with the most popular undergraduate majors being Mechanical Engineering and Civil Engineering. Students with a bachelor’s degree in engineering from this university report average starting salaries of $60,000. 8.NEW MEXICO INSTITUTE OF MINING AND TECHNOLOGY: SOCORRO, N.MEX. New Mexico Tech is an affordable public research university that also provides advanced technological training in the field of engineering. This small to mid-sized school offers degrees up to the Ph.D. level, and is considered a great value for the money schools due to its high outcomes and relatively low-priced tuition. The most popular majors for undergraduates are Mechanical Engineering and Electrical Engineering. Students who graduate with a degree in engineering report average starting salaries of $59,000. 9. UNIVERSITY OF MICHIGAN-ANN ARBOR: ANN ARBOR, MICH. The University of Michigan is an affordable public university with high academic standards. It offers a wide variety of majors, including graduate degrees. Engineering is the most popular field of study at the school (with Social Sciences being a close second), and in the engineering field the most popular majors are Industrial Engineering, Mechanical Engineering, Electrical Engineering, Chemical Engineering and Aerospace & Aeronautical Engineering. Graduates can expect high average starting salaries of about $63,000. IIT was founded with the goal of providing meaningful education to students of all backgrounds. This private research university grants degrees up to the Ph.D. level. The university has a heavy focus on science and technology, with Architecture and Mechanical Engineering being some of the most popular majors. The school has a serious commitment to full-time teachers, smaller than average class sizes, and a low student loan default rate.